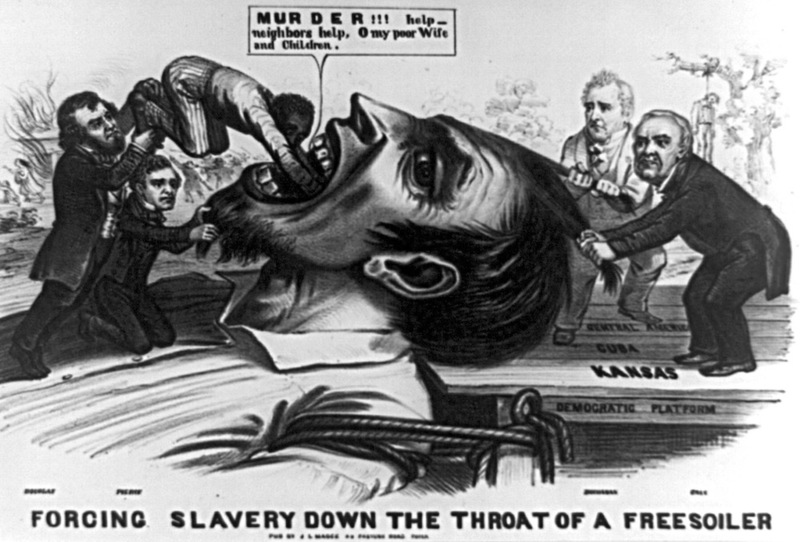 An 1856 British cartoon depicts Stephen Douglas shoving an African American slave down the throat of a gigantic anti-slavery “free soiler” being held by James Buchanan (right) and Lewis Cass (far right). Franklin Pierce is holding down the giant’s beard. Image courtesy of Wikimedia Commons. “The Little Giant,” as he was known, sought to establish a new territory—Nebraska Territory—fashioned from the immense tract of Indian-occupied land that stretched west to the Rockies from Missouri, and north to Canada. He desired to remove the Indian inhabitants; to survey, sell, and populate the land; and to construct a transcontinental railroad to unite the country. “How are we to develop, cherish and protect our immense interests and possessions on the Pacific,” he asked fellow senators, “with a vast wilderness fifteen hundred miles in breadth, filled with hostile savages, and cutting off all direct communication?” The solution, he said, was removing the “Indian barrier.” That done, Americans soon would command a continental empire. Only 40 years old in 1853, Douglas was already a figure of national renown. He had played the key role in defusing the nation’s crisis over slavery in 1850, when Southerners had threatened to leave the Union, by skillfully shepherding a bevy of compromise measures through Congress. These had included acts authorizing territorial settlers to determine slavery’s legality in states carved from the huge domain acquired in 1848 from Mexico. Those measures had, for the time being, silenced debate over Congress’s power to control territorial slavery. Most Southern politicians contended that the United States Constitution required Congress to protect slaveholders’ property rights in national territories. Most Northern congressmen replied that slavery existed only if state law sanctioned it. Douglas sought to sidestep the constitutional logjam by permitting territorial settlers to determine slavery’s legality. He initially termed this doctrine congressional “non-interference” with slavery, but subsequently invoked the talismanic phrase “popular sovereignty” to lay claim to the concept of self-rule. Popular sovereignty was the core of the country’s democratic experiment; hence, to Douglas, territorial settlers deserved the right to determine their fate. Slaves did not get a vote. To Douglas, the Union required compromise over slavery, as it had at the nation’s founding. 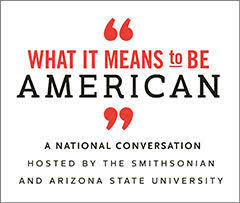 At stake was not only slavery’s potential expansion, but also the meaning of the nation. Both Southerners and Northerners lauded freedom, yet in doing so they meant different things. Southern politics reflected a proslavery perspective that rested upon the massive wealth of slave property and the immense profits of plantation agriculture. By contrast, Northern politics reflected both a burgeoning free population’s insatiable demand for western farmland and a moral resistance to making chattel of men. At the intersection of the country’s clashing definitions of freedom and its conflicting economic interests stood Stephen A. Douglas and popular sovereignty. 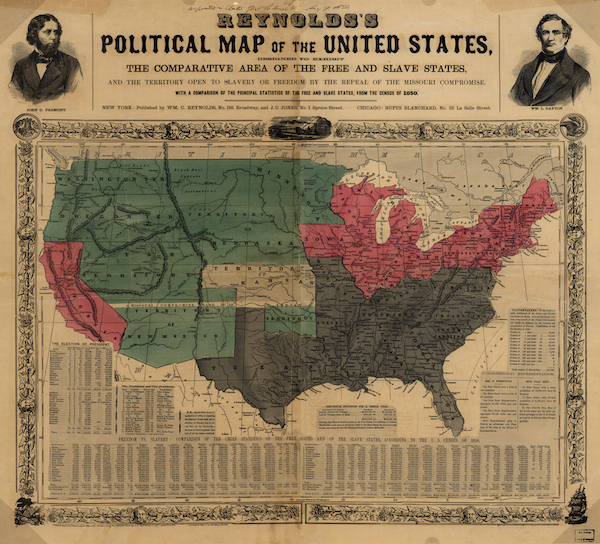 Douglas, like many Northern Democrats, had long been a middleman between North and South. Born in Vermont, he had migrated to central Illinois as a young man, launched a political career, and successfully solicited the support of Southern-born settlers who had made central Illinois their home. Once in Congress, he socialized with Southern Democrats and married a wealthy slave owner’s daughter, whose inheritance in 1848 made him the beneficiary of a large slave plantation. His political views marched in tune. A leading voice for both national expansion and national union, he invariably sought compromise when conflicts between slavery and freedom arose. To Douglas, the Union required compromise over slavery, as it had at the nation’s founding. For this reason alone, he denounced antislavery activists. Yet their egalitarian racial creed also repelled him. If, as Douglas believed, blacks were not equal to whites and did not possess inalienable rights to life, liberty, and the pursuit of happiness, then slavery was justifiable, perhaps even necessary. Hence popular sovereignty profoundly appealed to Douglas: It reflected America’s democratic practice and racial sensibilities, and, if adopted as a national principle, promised to end conflict over slavery’s expansion. Yet the clash of slavery and freedom meant that Douglas’ dream for Nebraska Territory was not without risk. Expansion tended to bring the country’s divergence over slavery into sharp relief. In a new territory, slavery would either be lawful or not. This basic fact often brought the politics of slavery to the fore. U.S. map of 1856 shows free and slave states and populations. Image courtesy of Wikimedia Commons. In Nebraska, the politics of slavery were explosive. The Missouri Compromise in 1820—which had settled a bitter and prolonged debate over Missouri’s admission as a slave state—pledged to keep free the land that Douglas now sought to organize as Nebraska Territory. Yet Southern congressmen in the early 1850s resisted creating new free territories and refused to supply the votes by which future antislavery congressmen would subsequently make their way to Washington, D.C.
Likely for this reason, Southern senators in the preceding Congress had tabled Douglas’ previous Nebraska bill, which had been organized under the Missouri Compromise’s antislavery provisions. So, in 1853, Douglas incorporated popular sovereignty into his new bill, intending to resolve not only the logjam over Nebraska Territory, but also future conflicts over slavery’s expansion. His decision forever altered American history. The ambitious bill precipitated a massive battle over the future of freedom in America. Introduced on the first day of the congressional session, it would pass Congress as the Kansas-Nebraska Act in May 1854. But the backlash against it was stupendous. Northerners angrily rejected Congress’ possible repeal of the Missouri Compromise’s antislavery prohibition. Mass political meetings in countless cities protested the bill. 3000 New England clergymen sent a signed petition against the bill “in the name of Almighty God.” And, when Douglas traveled through Ohio’s antislavery Western Reserve on his return to Illinois, he could see his burning effigy “upon every tree” he passed. Douglas believed that agitators had whipped up the crisis and predicted that the act would “be as popular at the North as it is at the South” once its democratic character was fully comprehended. Instead, the 1854 elections portended an antislavery revolution in the North. Candidates supported by hastily assembled and motley anti-Nebraska coalitions received an avalanche of votes that swept incumbent Democrats from Congress. By 1856, the recently founded antislavery Republican Party had emerged as the North’s majority party. And in 1860 Republican voters put Abraham Lincoln in the White House by claiming almost every electoral vote in the Northern states. Southern states responded with secession, and then war, and soon the political contest over the meaning of freedom in America escalated into a remorseless revolutionary struggle over the fate of slavery and the nation. The nation survived the struggle. Slavery did not. In 1853, Stephen A. Douglas had not sought to make an antislavery nation. That achievement, which our country now so justly prizes, was thus ironically made possible by one of the many Americans tolerant of slavery. But that irony also reminds us that the powerful hold of slavery on antebellum Americans—Northerners and Southerners alike—is a central reason why we still struggle with the legacy of the Civil War. Our 19th-century forebears tried to put freedom into practice, and left a complicated heritage. We will do the same.